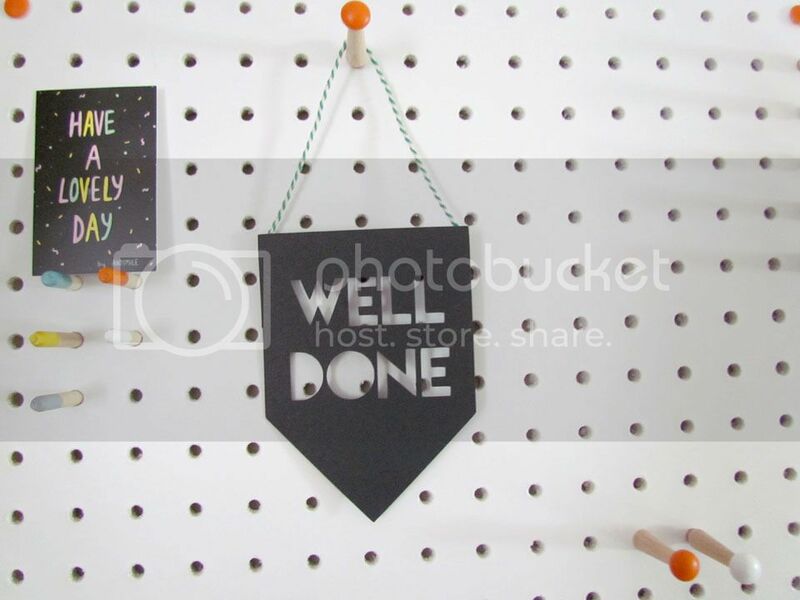 I have seen these PegBoards floating around the blogosphere on trendy types walls for a while and I'd been thinking that I must get one of those. So I was super happy to find one at Red Candy who sell a whole host of colourful items for the home. 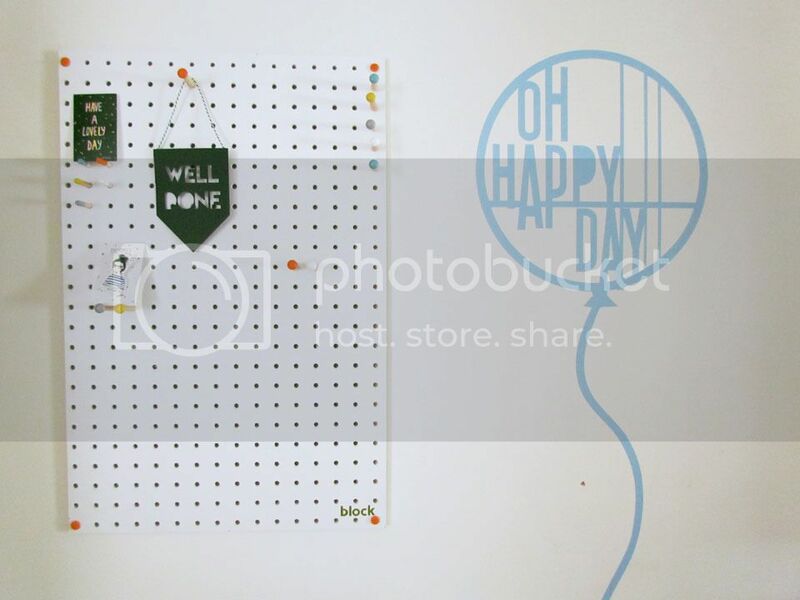 The PegBoards are available in blue, yellow, orange and grey too but I wanted white in order to use it as a backdrop on some of my instagram pictures and for faffing projects. My PegBoard arrived so well packaged with little corner clips to protect it in transit and the kit contained everything that you need to hang the medium 40x61cm wooden board. We had to drill four holes for each corner, pop a rawl plug in, screw through and top with a little orange cap so it looks all neat and pretty. The kit comes with 10 large and 5 little colourful headed pegs that you can use to hang items from or prop pretty postcards onto. It's like a little piece of art that you can change as you want - brilliant for me with changing displays for the seasons or for special days....you know it's going to have a Halloween vignette on here come October. For now I have put some goodies up on display from my Blogtacular goody bag until I bring back my holiday souvenirs from Pembrokeshire in a couple of weeks and then some autumn styling. The PegBoard is up in our family room and is a lovely feature, really cute for showing off little trinkets or family photos. The next time I update it, post hols, I'll show you again. 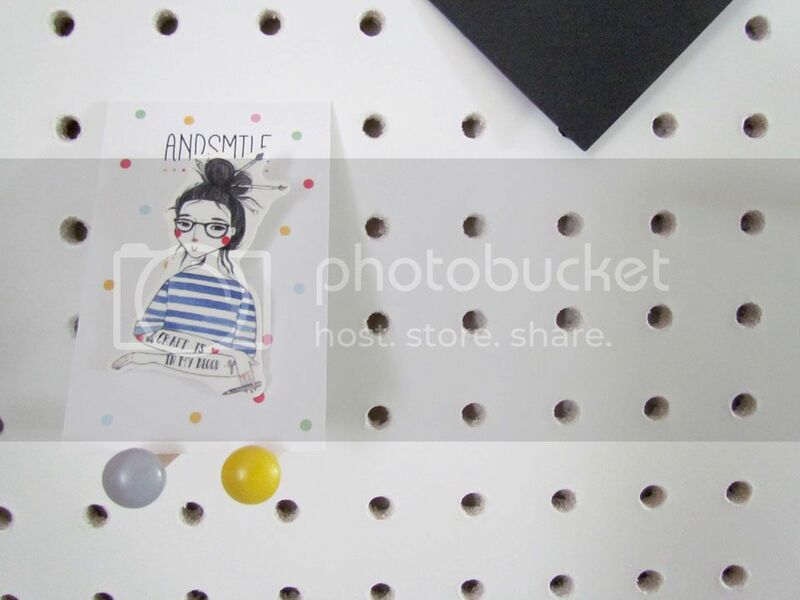 The medium white PegBoard retails at £40 from Red Candy. They have some seriously unique items and I am in love with so many of their items. I've earmarked some presents for the family and items I want. Have a look at their wonderful colourful items.